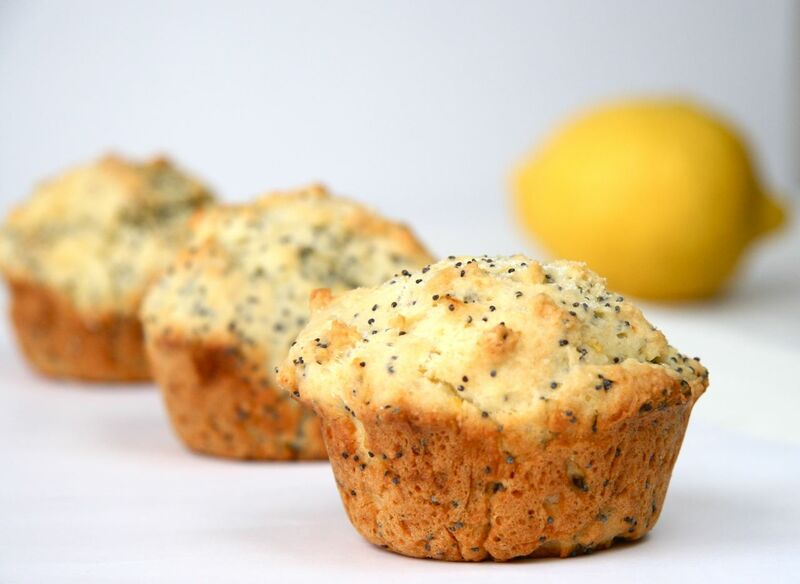 I have always loved Lemon Poppy Seed Muffins. 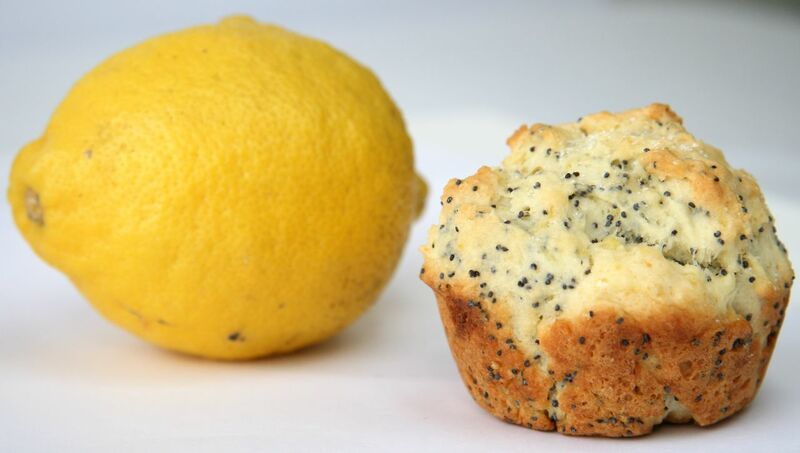 I remember choosing them from the Costco pack of assorted muffins – you know the pack that had chocolate, blueberry and poppy seed (well, that’s when they included lemon poppy seed. They are now long gone and Costco replaced them with some sort of apple cake…err I mean muffin!). When I saw a fellow blogger, The Way the Cooke Crumbles, post these a few weeks ago, I was instantly reminded of how much I loved these muffins, and set my mind to making them! Finding poppy seeds wasn’t the easiest of tasks, but I finally found some and away I went! How good are they? I made 12 at 8pm on Thursday night….Friday afternoon at 2pm, there were 4 left. Let me remind you that it is only CH and I in this house. I may have skipped making dinner and lunch, and we just ate these instead. I am planning to make another batch on Sunday evening to have as breakfast for the week (if they last that long!). I definitely recommend adding this to your baking list. They aren’t overly sweet, just a nice hint of lemon and all around just delicious! I skipped doing the glaze and/or frosting and just lightly dusted them with sugar when they came out hot from the oven! I hope you enjoy…I’m off to fight CH for the last one! Butter or spray a regular-size muffin pan or line with paper muffin cups. In your KitchenAid mixer, fitted with the flat mixer, mix the sugar and lemon zest together until the sugar is moist and the fragrance of lemon strong. Add the flour, baking powder, baking soda and salt to the lemon/sugar mixture and combine well. In a large glass measuring cup or another bowl, whisk together the sour cream, eggs, vanilla, lemon juice and melted butter together until well blended. Pour the liquid ingredients over the dry ingredients and on medium-low speed, stir to blend. Don’t overmix – a few lumps are OK and it’s better than over mixing the batter. Stir in the poppy seeds. Bake for 16 to 20 minutes, or until the tops are golden and a thick knife inserted into the center of the muffins comes out clean. Carefully remove each muffin from its mold and place on a wire rack. Either sprinkle immediately with fine sugar, or cool the muffins completely on the rack before icing them. I love these muffins…I always get excited when these are made at our house and they disappear quickly! Not a moist as I would have liked, and could use more lemon flavor. I’m sorry you didn’t find them perfect! The lemon flavour does depend on the quality of the lemons used. I’d definitely suggest testing the batter before baking, and you can adjust the lemon for more/less, depending on your personal preference. The moist issue could just be due to baking time, so if you oven runs hotter, I’d decrease the cooking time to increase the moistness. Hopefully with these suggestions, you give them another shot! I made these today but I was distracted by my want-to-put-everything-in-my-mouth-baby sitting in his chair on the table so I didn’t read carefully the instructions. However,I did add extra cream and poppy seeds and they turned out perfect. My 6 months son went crazy when he wasn’t able to eat them yet while they were cooling off. We did enjoy them after and they were great. So simple to make. Do you think it would work if I’d use lime next time? Lime+poppy seeds? What do you think? Thank you for the comment, and I am so glad your son enjoyed them! I’m not sure about lime+poppy seed…but it’s worth a shot, at least once right? If you decided to try them, you will have to let me know if they were good!